500 block of South Pine Street, Lima — Police responded Sunday to the report of a theft. 600 block of Prospect Avenue, Lima — A breaking and entering incident was investigated Sunday. 1000 block of South Reese Avenue, Lima — A theft was investigated by police Sunday. 100 block of South Perry Street, Lima — Police responded Sunday to a domestic violence incident with the suspect present. 900 block of Rice Avenue, Lima — The report of an intoxicated person was investigated early Monday. 100 block of Cottonwood Place, Lima — Police responded Monday morning to the report of a breaking and entering. South Metcalf Street at West Vine Street, Lima — A traffic accident with injury was investigated Monday morning. 100 block of Superior Court, Lima — Police responded to the report of a theft on Monday. East Second Street at South Central Avenue, Lima — Police responded Monday morning to a traffic accident with injury. North Jameson Avenue at West Market Street, Lima — A hit-skip traffic accident was investigated Monday. 800 block of Brice Avenue, Lima — A theft report was investigated Monday. 700 block of Dingledine Avenue, Lima — Police responded Monday to the report of a breaking and entering incident. 2400 block of Allentown Road, Lima — A theft was investigated by police on Monday. 1100 block of Richie Avenue, Lima— Police responded to a breaking and entering incident Monday. 1400 block of North Cable Road, Lima — A traffic accident resulting in property damage was investigated Monday. North Metcalf Street at West North Street, Lima — Police responded Monday to a traffic accident with property damage. 300 block of West O’Connor Avenue, Lima — A domestic violence incident in progress was investigated late Monday. 1200 block of South Metcalf Street, Lima — A traffic accident with injury was investigated late Monday night. 4000 block of Burr Oak Trail, Lima — Deputies responded Sunday to the report of a mental health incident. 1800 block of Reservoir Road, Lima — A female told deputies that someone had damaged her vehicle on Saturday. 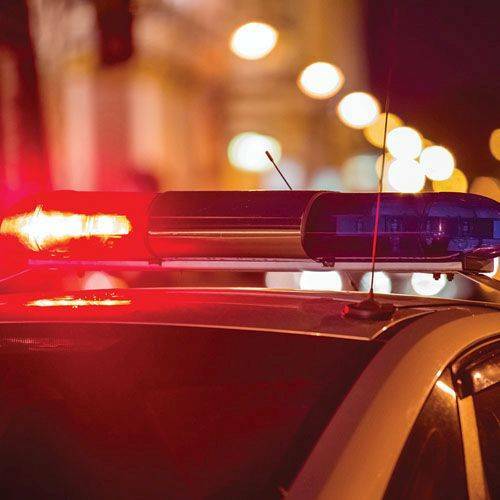 6000 block of Kiggins Road, Delphos — A subject told deputies on Monday that a person threatened to have a friend kill him.